Welcome to Ultimate Antelope Hunting, a online Antelope Hunting resource. We are a comprehensive Antelope Hunting website directory of guides, outfitters and lodges. Hunt the Racket provides guided antelope hunts. The varying terrain we offer provides nutrients that produce trophy class animals! When making your decision, as where to have your big game hunt remember the Rackett! We are located just a short distance from Denver and we can provide your transportation to and from Denver! 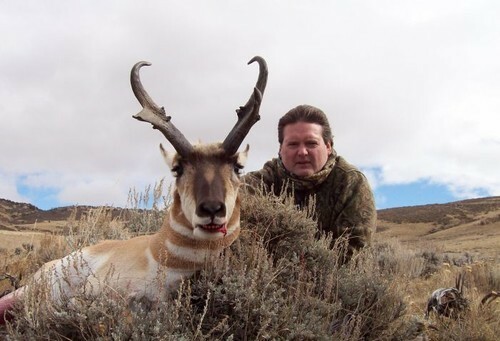 Ridgeline Outfitters has some of the finest New Mexico big game hunting for Pronghorn Antelope. Our hunts take place on private and public lands. The majority of archery antelope hunting is done using blinds over waterholes. The blinds are set up in the preseason so the antelope are used to them by the time season rolls around. Another tactic we use will be spot and stalk behind decoys. South Dakota's archery antelope hunting season traditionally starts the third Saturday of August and goes to the end of September and then opens up again the last half of October. Antelope will average between 65 BC and 75 BC. Experience the thrill of a lifetime while hunting Wyoming antelope here at Bar Nunn. A second generation family run outfitter, here at Bar Nunn Hunting, we know antelope. Our ranch is located west of Laramie, right along the Laramie River. Red, Ring and Jelm mountain are all within a few miles, giving this area ideal antelope habitat as well as breathtaking scenery. Visit our premium Antelope Hunting outfitters, guides, and lodges to plan your next Antelope Hunting trip.